1. Plan of the small temple at Sounion. 2. 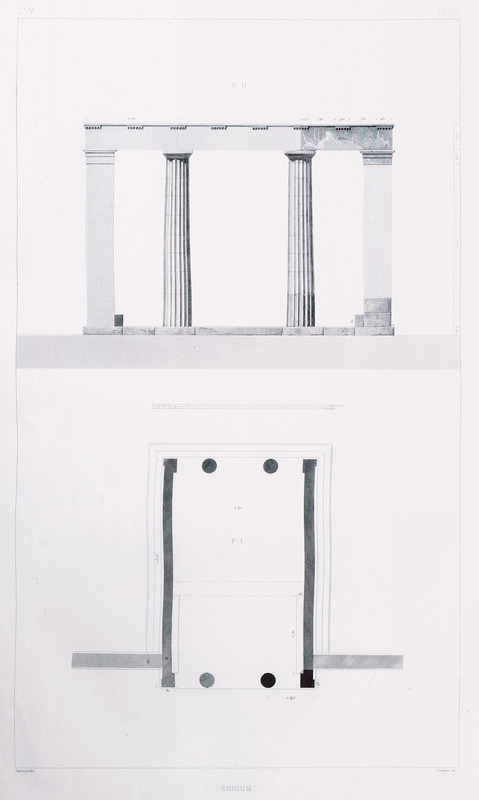 Reconstruction of the Propylaea of the temple of Poseidon. 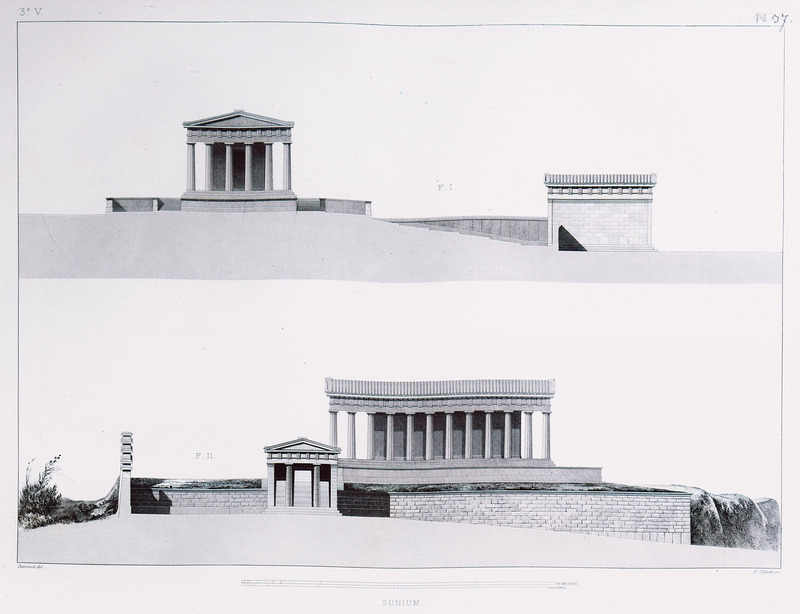 Reconstruction of the temple of Poseidon at Sounion with the Propylaea.